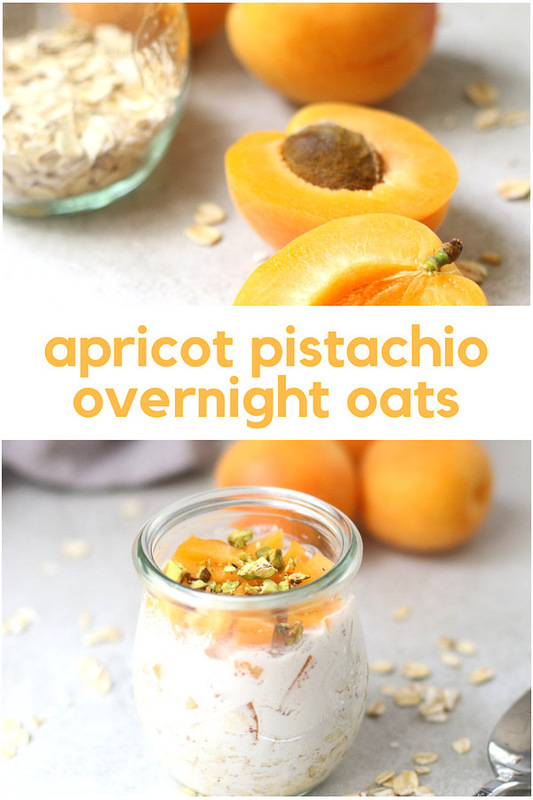 These Apricot Pistachio Overnight Oats with Pistachios make an easy breakfast prepped in minutes. It’s the perfect grab and go breakfast! Overnight oats are a fast and easy breakfast. 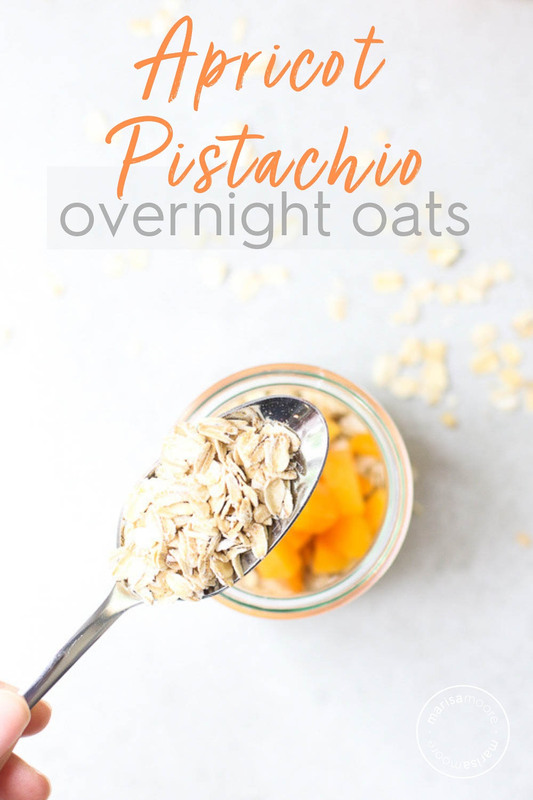 But what goes into overnight oats? 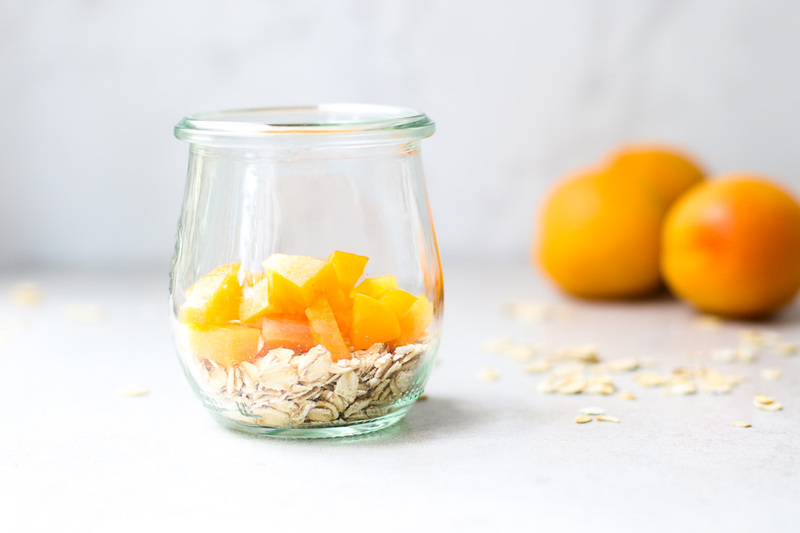 On a basic level, overnight oats include oats, some liquid (either milk, kefir, yogurt, or even water), fruit and an optional sweetener. I like to use seasonal fruit to sweeten things up and keep it interesting. 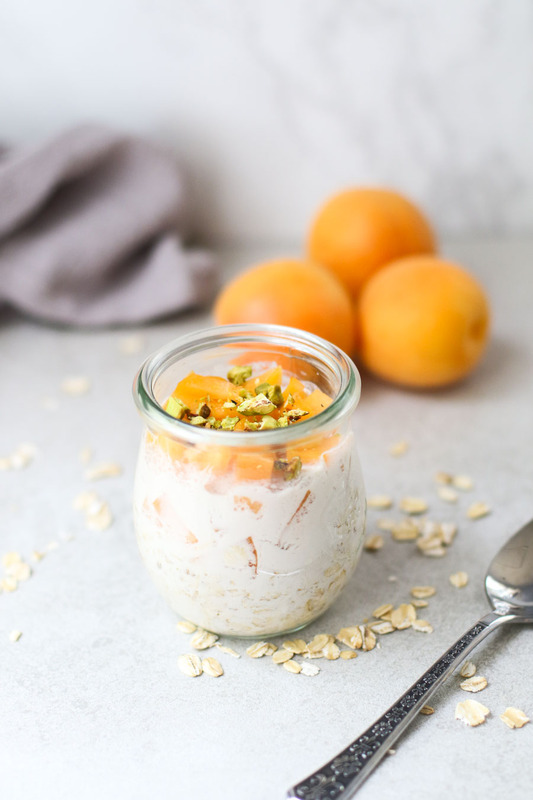 For these apricot pistachio overnight oats, you only need oats, fresh apricots, chopped pistachios, and your favorite milk. Honey or another sweetener is optional – based on your flavor preferences. Get individual jars or storage bowls with lids. 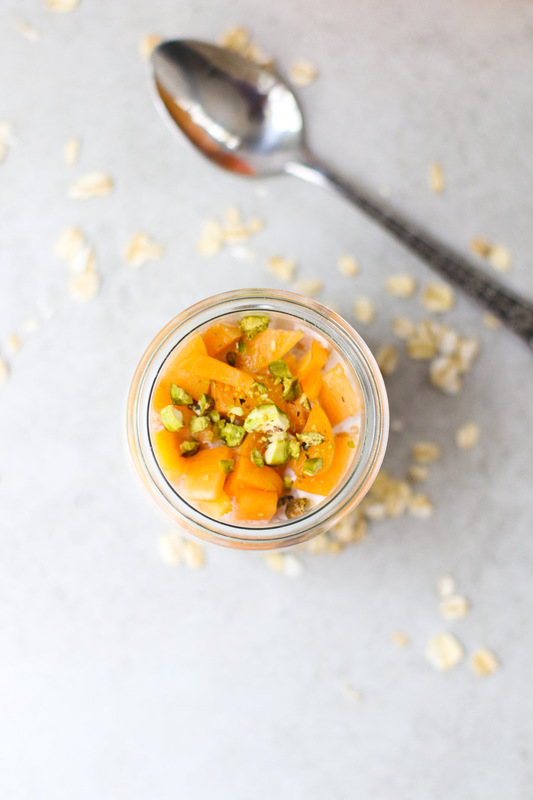 Chop the apricots and pistachios and shake up your milk. Now you’re ready to assemble the overnight oats. Because fruits like apricots, peaches, pears, and of course bananas tend to turn brown, I like to add them near the bottom of the jar to help keep them from browning too much. Add a couple of layers of oats and apricots. Pour the milk in to just cover the oats. And how much milk you add is entirely up to you. Remember that the oats will absorb the liquid. How much milk you add beyond that depends on your preference for more stiff oats versus more fluidity. Sprinkle the pistachios over the top to maintain more crunch. Now, is an excellent time to add a drizzle of maple syrup or honey too. Once it’s all in the jar, seal it and store overnight in the refrigerator. I like to make 2-3 individual portions on a Sunday to grab and go through the week. If you are going longer than three days, you might consider adding the milk and fruit the night before so that the mixture doesn’t get too mushy. Time to dig in! Grab the easy recipe below, PIN this recipe for later, and be sure to tag me on Instagram with your version when you make it! 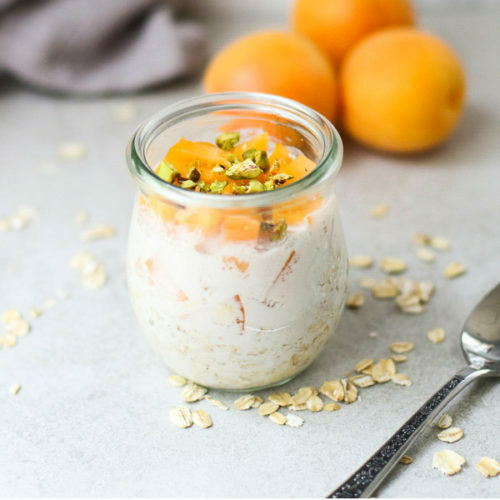 These Apricot Pistachio Overnight Oats make an easy breakfast that’s ready in minutes. It's a sweet and crunchy grab and go breakfast. 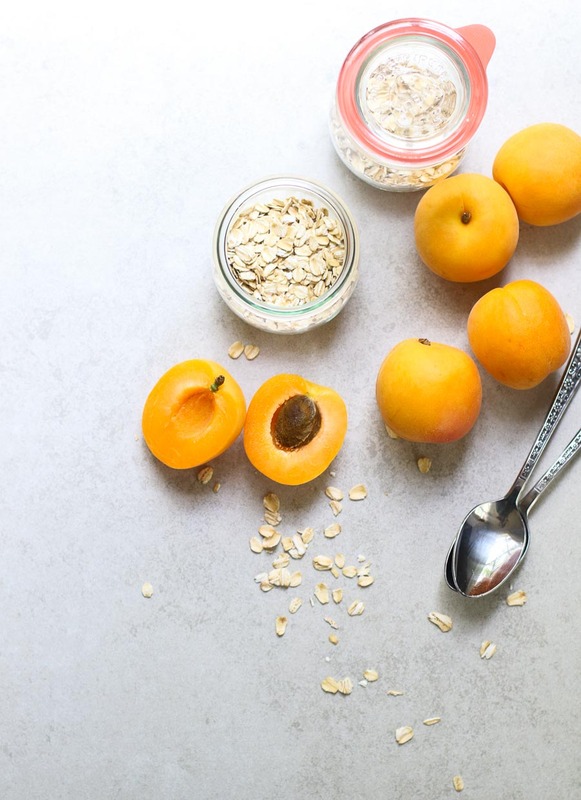 Layer the oats and apricots evenly in two jars (or bowls with lids). Pour ½ cup of milk over each one. Top each with honey and chopped pistachios. 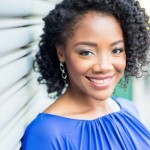 All images and content are copyright protected. Please do not republish or reprint anything without prior consent. You are welcome to share this post via social media though.